Is Your Hair in Good Condition? 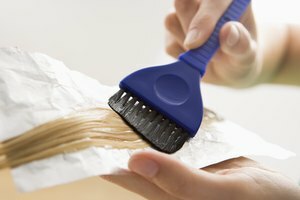 According to the Hairfinder website, it depends what condition your hair is in following bleaching it. If it's in good condition then swimming should not have a negative impact, although it's not advisable to go swimming the same day. Always wash and condition hair after you've been swimming. Other hair experts recommend using a swimming cap, or at the very least protecting bleached hair with a deep conditioner before swimming, no matter what condition it's in. 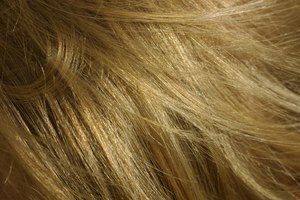 Hairstyles.com also suggests rinsing hair with apple cider vinegar, then soda water after swimming to get rid of the chlorine, which can discolor hair. Be cautious about swimming the same day as bleaching hair, and always rinse thoroughly and condition after being in the pool. Condition hair before swimming, and if it is dry or damaged, use a swimming cap. How Long Should I Put 20 Volume Developer in My Hair?